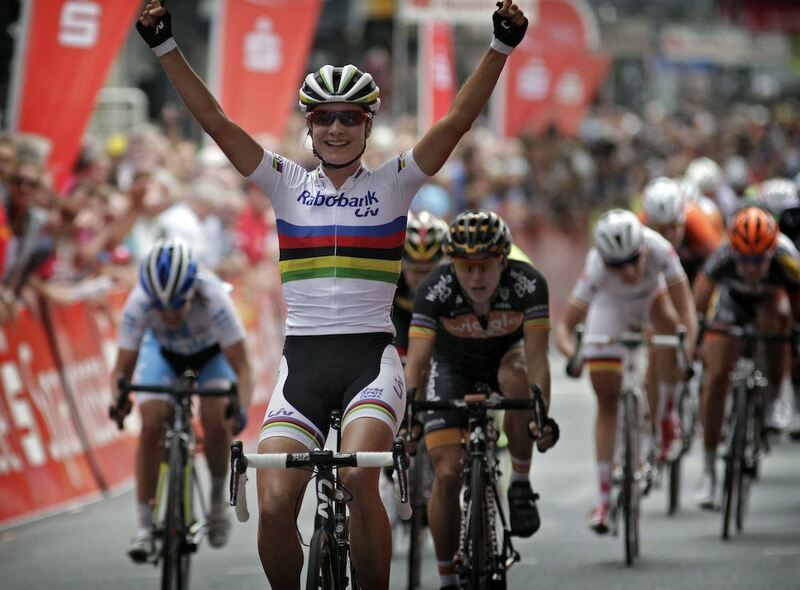 While Marianne Vos is listed as a participant to ride in this year’s Sparkassen Giro in Bochum, Germany, on Sunday, the defending champion recently announced that she will not race this season due to lingering injuries. That decision puts last year’s runner-up Giorgia Bronzini (Wiggle-Honda) and third place finisher, Lotta Lepistö (Bigla), in the spotlight as likely race winners. Also worth considering, is current World Cup leader, Lizzie Armitstead (Boels-Dolmans), who’s hoping to retain her grip on the overall standings. The women will face a mostly flat 124 kilometer course, which consists of 8 laps of a 15.5 kilometer circuit. According to Boels-Dolmans’ team manger, his squad will be working in full support of Armitstead, with the goal of keeping her in the World Cup leader’s jersey, while also not ruling out the possibility that former winner, Christine Majerus, could pull-off a victory as well. “The race will probably end in a bunch sprint. We hope Lizzie Armitstead will be ready to collect as many points as possible in the sprint to hold on to her jersey as World Cup leader. It would be great if that gets her on the podium… that should be possible,” said the team’s manager Danny Stam. “I know Christine Majerus did well also in this race in the past – she won in 2013 – but we have to make a clear choice and that is to defend the leader’s jersey of Lizzie. Three more rounds of the World Cup, will follow the Sparkassen Giro; namely, the Crescent Women World Cup Vargarda team time trial and road race on August 21 and 23 in Sweden, and the GP de Plouay-Bretagne held on August 29 in France.